The Ohio SHRM State Council is dedicated to advancing Human Resources excellence through shared knowledge, development, & leadership. To be the leading resource for advancing the HR profession in Ohio. The members of the council are the Presidents of the Society's chapters in Ohio and northern West Virginia along with a State Director, State Director Elect, District Directors assigned to various regions of the state, Treasurer, and various program directors and committee chairs including the chair of the Ohio Human Resource Conference. 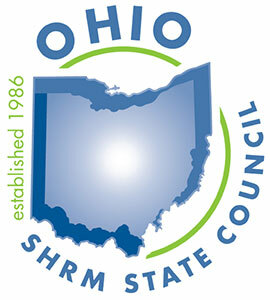 An annual meeting schedule for the Ohio State Council is published for the benefit of SHRM Ohio State Council members and Chapter officers. The Ohio State Council meetings are open only to State Council members, Chapter Presidents and Presidents-Elect, SHRM officials, and invited guests. See our State Council Directory for a complete listing.